Early this year, a batch of scientific experiments returned from orbiting 254 miles above the earth on the International Space Station (ISS). In research that sounds like something out of a science fiction movie, astronauts are conducting experiments on miniature human organs—such as hearts, lungs and kidneys—in devices roughly the size of a USB key. Such experiments hold the potential to advance our understanding of disease on Earth. 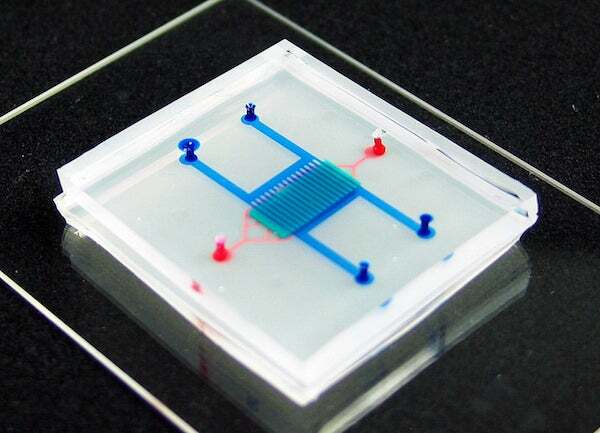 These “organs-on-a-chip” are bioengineered 3-D devices consisting of tiny chambers that contain different types of human cells, linked by microscopic channels where fluids mimicking blood can flow. The cells and tissues can develop and grow for weeks or even months, supporting living human tissues that react in the same way your tissues do in your own body. Not long ago, I would have asked the obvious question: What can we learn using these tissue chips in space that we can’t learn here on Earth? What possible benefits make research in space using organs-on-chips worth the investment? The short answer is that research will deliver answers to pressing questions we have—and pressing questions we’ve not yet asked—to benefit human health here on Earth. We need to do more of it. The reasons aren’t obvious, but they are remarkable: Research in space is a way to unlock the mysteries of aging and disease on Earth. The questions we’re seeking to answer aren’t (only) about our ability to live on Mars or journey further into space; they’re about how well we live here on our home planet. To understand some of the value of research in space, we can start by looking to what we’ve learned from studying the experiences of astronauts over the past several decades. Within weeks of departing our planet, their bodies show signs similar to those seen in aging; their bones thin, muscles deteriorate and immune systems weaken. Amazingly, these changes occur extremely fast, and when astronauts return to Earth they seem to quickly reverse themselves. This discovery is fascinating, but we can dig deeper to learn much more about health and disease by taking advantage of microgravity, the unique environment of the ISS where the effects of Earth’s gravity are very minor. Using these organs-on-chips—also called “tissue chips”—we can begin doing research that we could never conduct on astronauts. These chips allow us to manipulate organs in extreme environments with very little gravity and high radiation. Put simply, we’re on the cusp of an exciting new chapter in understanding health, disease and aging. However, to understand why space is such a powerful setting for research, we can look at not just what we know about health, but how we’ve made these discoveries. To date, our incredible progress in understanding disease has mostly been driven by unlocking only half the health equation. Diseases are generally caused by a 50–50 mix of our genes and our environments. That is, you may have a form of a gene that makes you more likely to develop a certain type of cancer or disease that is passed through families, but that’s not the entire story. Our environments are equally formative in determining our health. We unlocked the genetic part of this equation in large part through the work of the Human Genome Project, the ambitious and successful effort to map the entire human genome. This project, which I was part of at the National Institutes of Health, changed our understanding of genetics and opened the door to learn about how genes work to prevent or cause disease, by manipulating them. In genetic research, we can simply delete individual genes (what scientists call “knocking out” genes) or add more of them, to see what happens and learn about the role of individual genes in disease. This sort of radical manipulation of genes in a laboratory has proven to be essential to unraveling many of the mysteries of disease. While we can dramatically alter genes, we’ve not been able to dramatically manipulate environmental factors—until now. There is no more dramatic environmental change than sending organs to space where they experience very little gravity, intense radiation and a host of other extreme conditions. This is the environmental equivalent of flipping the switch on a gene. Blood-brain barrier on a chip. Credit: Vanderbilt University Flickr (CC BY 2.0). Sending these “organs-on-chips” to space also allows us to understand environmental effects on a wider range of people—not just astronauts, who are selected because they are top-notch physical specimens. So, what do we hope to learn in the coming years from this new chapter in research? One study will look at how microgravity weakens the immune system and the ability of astronauts to fight infections. In this experiment, astronauts will test the effects of microgravity on the lung and bone marrow’s immune responses to bacterial infection. Using a linked lung–bone marrow on a chip we hope to better understand how the bone marrow coordinates its immune response, which could produce understanding into how the immune system responds to bacterial infections on Earth. Another study hopes to shed light on the wall known as the blood-brain barrier (BBB), which acts as a gate between our brains and the blood circulating through our body. This defensive barrier keeps toxins and unwanted cells from reaching our brains, but sometimes fails—contributing to diseases ranging from cancer to Alzheimer’s disease. This research could lead to Earth studies enabling us to better understand these diseases—and to potential treatments, which must cross the BBB. Yet another study will look at the osteoarthritis and bone loss that occurs in spaceflight, perhaps leading to new drugs to control these losses in non-orbiting humans. And still another will look at how our immune system “ages” more rapidly in space and the mechanisms behind this, to understand why our immune system changes as we age. Humans have long looked to the sky and dreamed about what lies beyond. Today, scientists are looking to that same sky in hopes of understanding what ails us on Earth. Christopher P. Austin, MD, is the director of the National Center for Advancing Translational Sciences (NCATS) at the National Institutes of Health (NIH) and a developmental neurogeneticist. He serves as the liaison to NASA for the U.S. Department of Health and Human Services and the NIH.